Getting started as a freelance blogger. I'll answer a question about ebook content protection. I'll tell you a little bit about my first bonus freebie for subscribers to the All Freelance Writing email newsletter -- specifically for authors of fiction. I'll introduce you to my next guest co-host for Episode 9. Do you only want to write bylined blog posts, or are you open to ghostwriting? Do you prefer to blog for niche sites / publications, or for businesses? What niches can you blog about competently? Should you specialize? Won't a specialty limit you too much? You only have limited billable hours each week. And it doesn't take a huge number of clients to consistently fill those hours. Being too broad in focus can actually make it tougher to find good clients, because many are only interested in specialists (and "freelance blogging" is a bit too broad to be much of a specialty -- consider narrowing it down by client type, business, size, niche, or industry). Specialists generally get paid more -- often significantly more -- than generalists. So you need fewer clients than a generalist would in order to reach your income goals. Launch your own blog (as a freelance blogger, you really should have one -- it shows you understand blog management beyond content writing -- SEO, managing a reader community, etc.). Guest post on sites in your target niche or industry. Write posts for third party, non-client sites (such as using LinkedIn's publishing platform). Identify key clients and pitch them directly. Look for businesses that don't have blogs yet. Offer to help them set one up, come up with a content strategy, and manage their blog content. Many won't know they need you if they never hear from you. Make sure your own blog is visible in search engines. Comment on the blogs of your target clients. Don't pitch them in the comments, but add value, become a member of their community, and give them a reason to take notice of you. Build a relationship this way (and via social networks) before pitching them privately in order to build warmer leads. Remember that sometimes unpaid opportunities are better for your portfolio than gigs with crappy pay. A $10 per post gig isn't likely to lead you to anything better than other $10 per post gigs. But a guest post on an authority blog in your niche, or volunteer work for a respectable nonprofit, can have real value in attracting clients. The key is only spending your scheduled marketing time on getting those bylines -- not trading otherwise billable hours for them. I was asked about e-book security and how files can be protected from pirating. Many authors avoid DRM (including me) so legitimate buyers don't have to jump through hoops. Some authors are more open to their work being shared freely. And others simply track down pirates later and go after them (using techniques similar to the one I talked about on Kathryn Aragon's blog, included in the link section below). E-book marketplaces take on a lot of the security responsibility these days in how e-books are distributed to buyers. When selling .pdf e-books on your own site, services like E-junkie give you options such as download link limits and expiration periods and even watermarking files with buyer's names (so if they upload it somewhere, you'll know who's responsible). Don't miss my first subscribers-only freebie, a short report with 21 blog post ideas for fiction author blogs. Subscribe to the newsletter, and you'll receive the download link when you confirm your subscription. Cathy Miller of Simply Stated Business will join me in the next episode to discuss ghostwriting. We touch on ghostblogging as well as one of my favorite project types -- ghostwriting for trade publications. How to Identify Content Thieves and Hit Them Where it Hurts - My guest post at KathrynAragon.com where I talk about how I deal with content theft. While the post addresses stolen blog content, the same rules apply when I go after e-book pirates. E-junkie - The distribution service I use for selling e-books through my own websites. 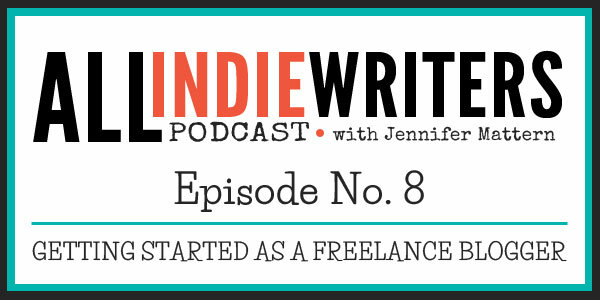 Subscribe to the All Freelance Writing Newsletter for the new subscribers-only freebie.